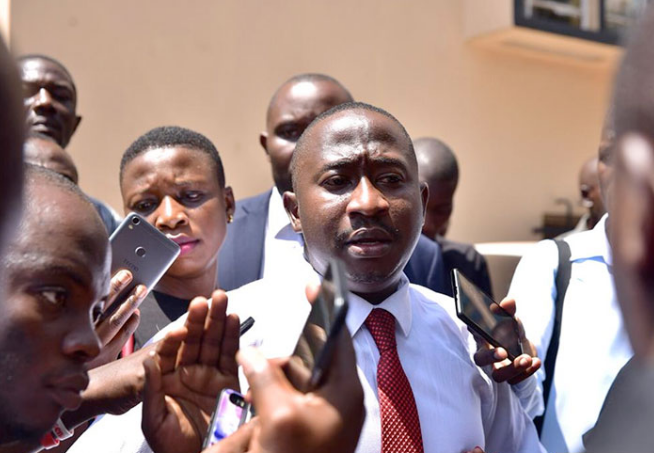 KAMPALA- Solomon Sserwanjja, an investigative journalist working with NBS TV has February 11 said he is scared for his life after what happened to him, his wife and five other journalists from BBC when they were arrested. Speaking on NBS Morning Breeze, Sserwanjja said one of the worst things is to be a fugitive in your own country. “I now know what Ssejusa was going through,” he said. Asked about risking his life and the life of his family to carry out investigations, Sserwanjja emphasised how scared he is. “I am scared about my family of course. My wife tells me I need to be careful. I have to go home earlier than before, she is my family, my babies. I am scared honestly but I have to do something about it,” Sserwanjja remarked. Serwanjja says he wants to die and be remembered in society but not die like a coward. “Investigative journalism is about exposing the rot beyond the surface,digging deeper to understand who is doing the evil,”Sserwanjja said. He urged everyone to put themselves in the lime to make sure this country changes. “If we all keep quiet about evil going on in our society and it becomes normal for things to happen and nothing is done, then we will have betrayed our country,” he said. Sserwanjja spent the interview empasising how scared he is although he is also strong on the other hand. “I am scared honestly but that makes me even stronger and the entire team because I am not alone on this investigation,” he said. Sserwanjja thanked everyone that supported the cause, showed him love, and the entire team that was arrested on Wednesday February 6.